Home / Legal Info / Car Accident Police Report Errors: What if the Cops Are Wrong? 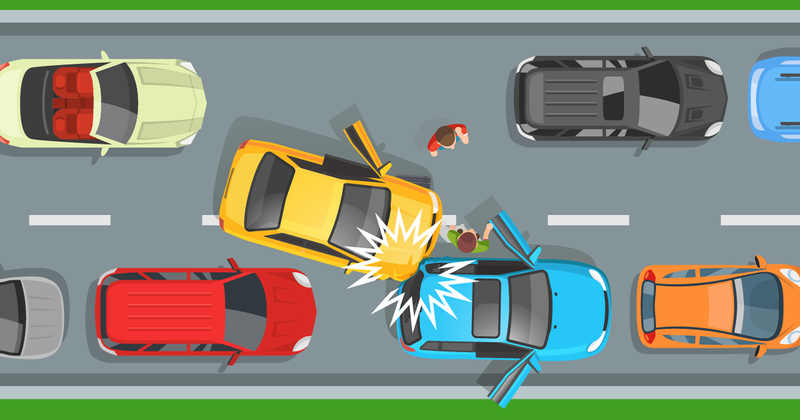 If you are in a car accident that results in injury, major property damage, or death, the police will usually respond and write an official police report on the incident. Police reports can significantly impact the outcome of your case, but sometimes they may contain problematic mistakes. What Sort of Information Does a Police Report Contain? Police reports are meant to be a concise and objective summary of events, containing basic contact information of the parties involved in the accident: names, addresses, phone numbers, and dates of birth, as well as driver’s license and insurance information. It will also include the contact information of any witnesses to the accident, including passengers and third party witnesses, and information about the accident itself, including the location, date, and time where it took place. 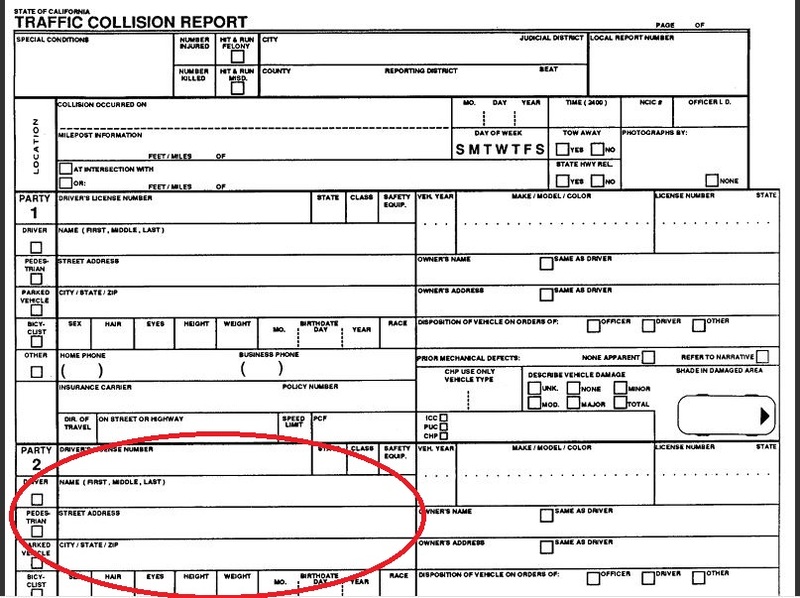 The police report often includes the police officer’s initial assessment of fault, and the specific vehicle code the party violated. The report may indicate a third factor, such as a mechanical failure, that caused or was a contributing factor to the accident. The final determination of fault is not usually made at the scene. Once the officers have gathered the relevant information, including photographs and witness statements, they will make a determination of fault and finalize the report. This is usually completed within about five days. Each police report has its own unique service number. You should request this number at the accident scene; this will make it easier for you to request a copy later. For more information on how to read police reports, check out our article on the topic here. How Does the Police Report Affect My Case? When you file a claim with the relevant auto insurance company, you will send them the police report, and they will conduct their own investigation. While it doesn’t happen very often, the final assessment of fault by the insurance company may differ from that of the police. However, the insurance company investigation will rely heavily on the police report. Therefore, it is important to ensure your police report is accurate. It depends on the jurisdiction, but generally, police reports are not admissible as evidence in court. Since the police officer typically did not witness the accident firsthand, police reports are considered “hearsay,” which legally cannot be used in court. Typically, to obtain a police report, you must make an official request, and mail or deliver the request to the relevant police department. 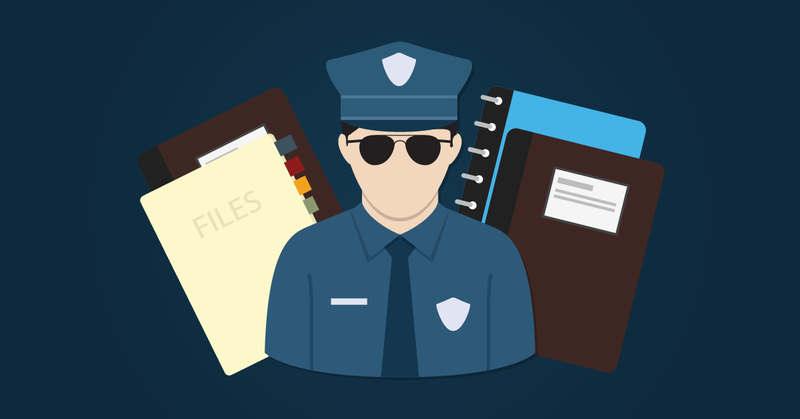 The police department may charge you a small fee for processing the documents. However, if you have been involved in a car accident, TorkLaw offers a free copy of your police report. Fill out a this form on our website, and we will order your police report and deliver it at no cost to you, whether or not you choose our firm to represent you. What If There Is a Mistake in the Police Report? If you notice police report errors, you can petition the relevant police department to have them amended. Of course, the police will not accept all proposed amendments. You need to provide proof of error. A factual mistake: Simple, easily verifiable mistakes, such as listing a different type of car than you actually have, are normally easy to have corrected. A mistake in judgment: It is more difficult to change information that is the result of a mistake in judgment. For instance, if you feel your words were taken out of context, it may be because of a dispute over the fundamental facts, and the police department may not accept your version of events. Witness statements you do not believe are accurate may fall into this category, or the mistake in judgment may be by a police officer. Either way, it’s the police may be less than willing to remove it. Your best course of action is to petition for your own version of events to be added. Incomplete information: If you find additional or overlooked evidence that was not included in the police report, and it does not contradict the officer’s testimony, it may be easy to add. You made an incorrect statement due to confusion or disorientation: If you feel the statements you made immediately after the accident are not reliable because you were in pain or disoriented, you should provide medical records to show that you were not in control of your mental faculties at the time. If the police do allow you to add a statement or additional evidence, it is important to be as thorough and accurate as possible. If you are dealing with police report errors, an experienced car accident lawyer can help you make sure the police report is something that bolsters your case, rather than detracts from it.